Black Cherry offers an in-school residency, Engineering of a Puppet Show, as part of our Community Arts Programing. 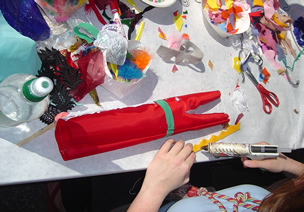 We also conduct hand-puppet workshops at festivals, schools and other events, both large and small. 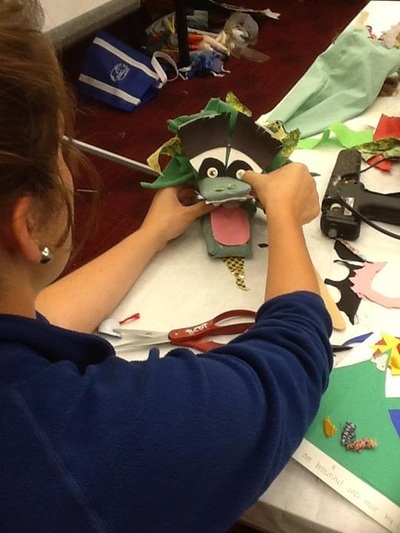 Curriculum integrated residencies during school hours, after school and summer workshop programs engage children and adults in rewarding and educational activities while making puppets and performances! 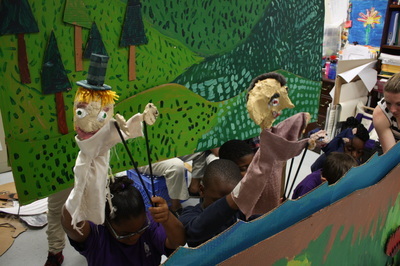 A classroom workshop for children conducted by Black Cherry Puppet Theater in accordance with the Maryland Department of Education Contents Standards and Outcomes. This intensive curriculum based workshop was developed in collaboration with engineers at Johns Hopkins Applied Physics Lab, faculty at The Maryland Institute College of Art and accredited teachers. It's goal is to provide a hands-on educational experience that is exciting and relevant and grants a sense of accomplishment to those participating. 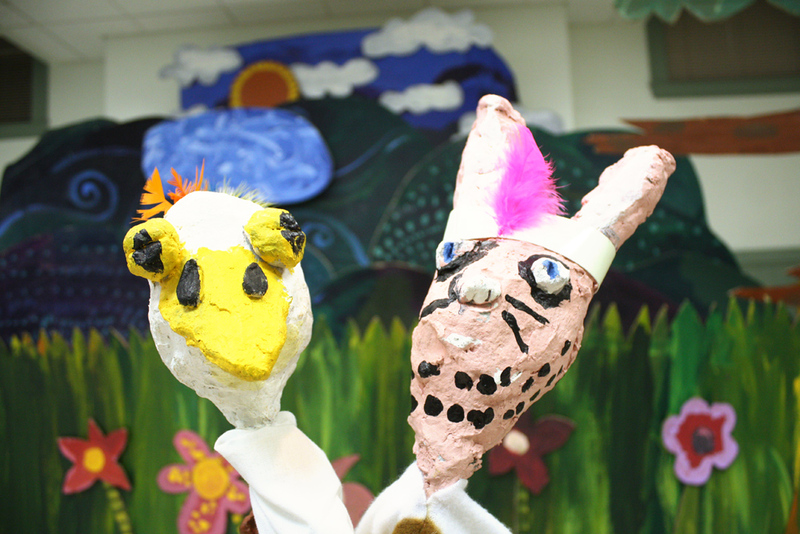 Children learn art, planning, presentation and writing skills while creating a puppet show. Each child makes a hand and rod puppet that they keep. 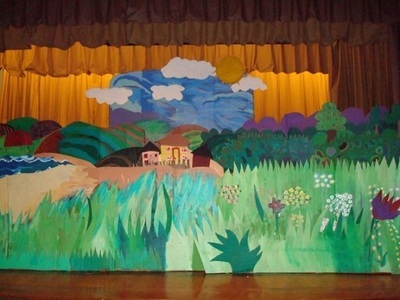 Classes are divided into work-groups in order to develop scripts, backdrops and props which are the basis for a live performance presented at the end of the program. The workshop applies the principles of engineering project management including planning, goal setting, problem solving, and time management to the classroom. 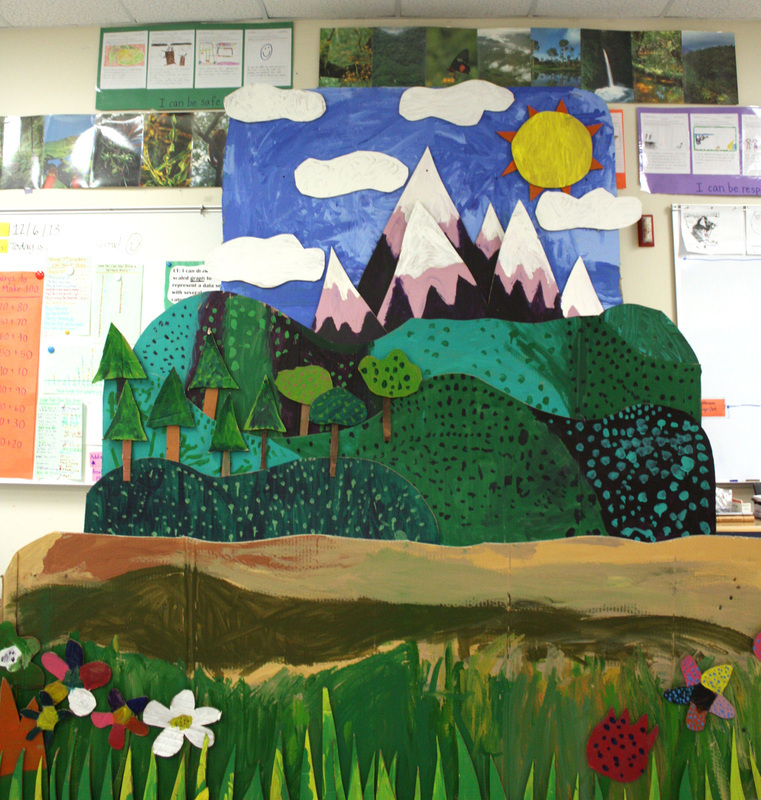 It stresses creativity, literacy and teamwork while demonstrating that learning can be both challenging and fun and that anyone of any means can create puppets and puppet theater anywhere. Puppet theater is unique among the arts because the audience focuses on the puppets, not the performers. It combines aspects of theater, visual, music and literary arts in one discipline. Since the audience focuses on the puppet rather than the performer, it is an ideal creative outlet for children. Puppet theater has a special place in the classroom because of the many opportunities it provides for curriculum integration. o Production of puppets, staging, sets and props. Copyright © 2000 Black Cherry Puppet Theater.